There is a sensational new restaurant in DC called Rose’s Luxury. It got an amazing review from the Washington Post so I was particularly delighted to go there the other night. The evening started off just right with a cocktail, the Winter Martinez. 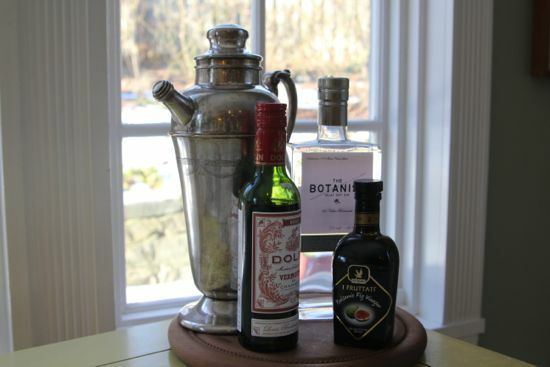 To be perfectly fair, Plymouth gin and Antica Carpana were specified and I had only Botanist ( herbal, like Plymouth) and Dolin (upmarket, like AC) sweet vermouth. I was hoping to recreate the same happy glass of joy, even with these substitutions. The kicker in this tipple is the fig balsamic. Syrupy and sweet with a snazzy vinegar ending, it brings to mind a shrub, but winterized. Shrubs, in case you aren’t familiar, are drinking vinegars. You’ll be able to get a lot more familiar with shrubs of all sorts when my friend Michael Dietsch‘s book hits the shelves. Don’t delay, pre-order it! Speaking of pre-ordering… did I mention another book is available for pre-order? Mine. (OMG.) While the book won’t be shipped until November, pre-orders are very important for the publisher (and the author). It helps the publisher understand what the demand for the book might be, and helps plan production and printing runs. If you’re so inclined, I’d be ever so grateful if you would click on through, please? Buried the lede, didn’t I? Let’s raise a glass together. 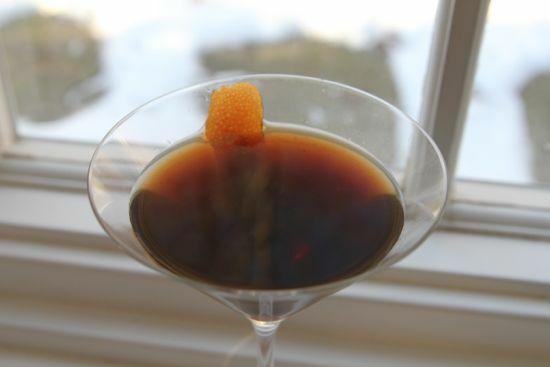 This Winter Martinez is just the thing while the snow flies and the temperatures continue to hover in the single digits. In a shaker, place several ice cubes and the gin and vermouth. Shake well until the shaker gets frosty and cold. Add the vinegar and swirl it around the drink, then strain into a coupe or martini glass. Twist the orange peel over an open flame (a lighter is the best choice) to singe the oils. Drop the peel into the glass. 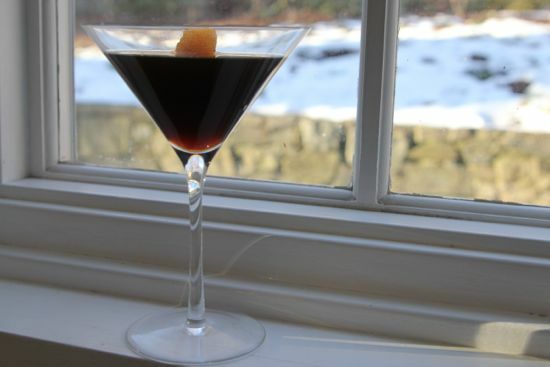 What a delicious cocktail, even with only “regular” balsamic. And what exciting news about the book! Love the new site, Cathy. Easy to navigate, and the font is big enough for these tired, old eyes!! Putting this cocktail on my drinklist. I don’t have playlists, just drinklists. assessment is usually accomplished in a course or project. If it won’t feel completely secure, use bobby pins to connect it to hair.